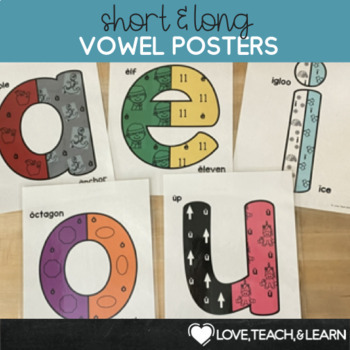 Long and Short Vowel Poster Activities : These Long and Short Vowel Posters provide a visual aid for students to recall both long and short vowel sounds. Use these activities to introduce the long vowel sound in CVCe words. • Hang them on the wall where it can be seen by all. 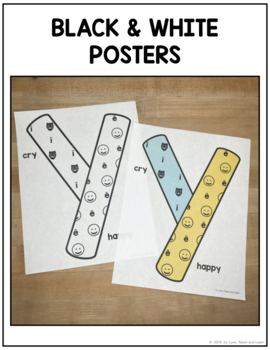 • Discuss the words and the colors that represent the different sounds on each poster. 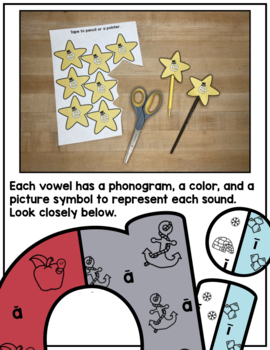 • Use the student worksheets to introduce the vowel sounds once a day. 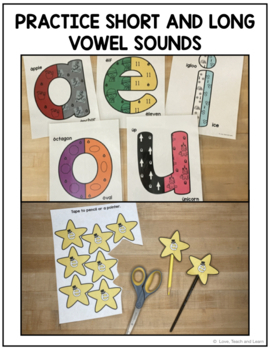 • Cut out each magic wand star and tape them on to a pencil, plastic spoon, or a pointer for a fun twist on introducing long vowels in CVCe words. • Magic E wands in a classroom set (4 pages/ 5 wands to a page) or a teacher set (2 wands to a page) in color or black and white. Earn TpT Store Credit towards your next purchase!